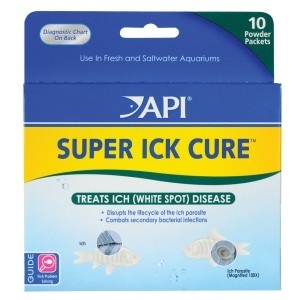 Aquaria (D) AP SUPER ICK CURE POWDER PACKETS - Rick's Pet Stores Inc.
An effective treatment for Ick, a highly contagious disease, also called White Spot Disease. Quickly kills the Ich parasite, usually within 24 hours. Also combats secondary bacterial infections. 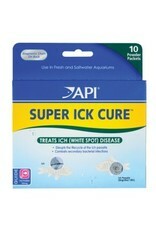 For use in both freshwater and saltwater aquariums. Note: This medication will cause a slight discoloration of water which can be removed with activated carbon.